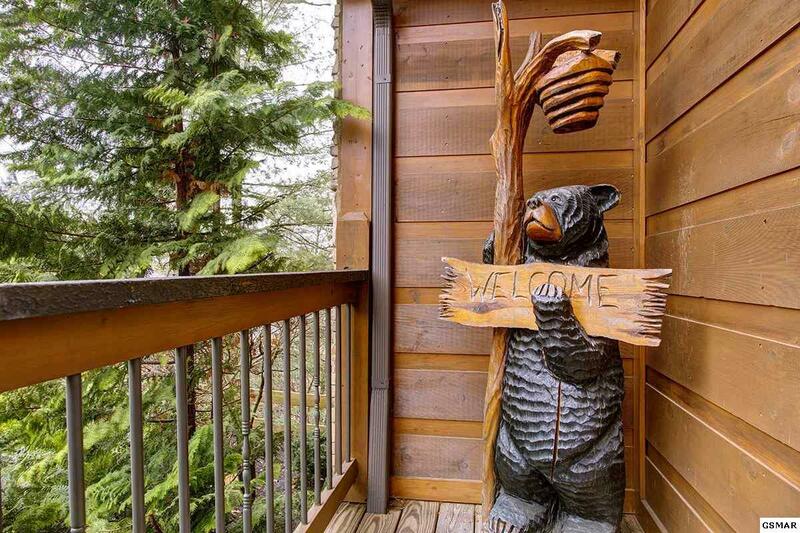 Please call prior to showing as this is a rental, currently. 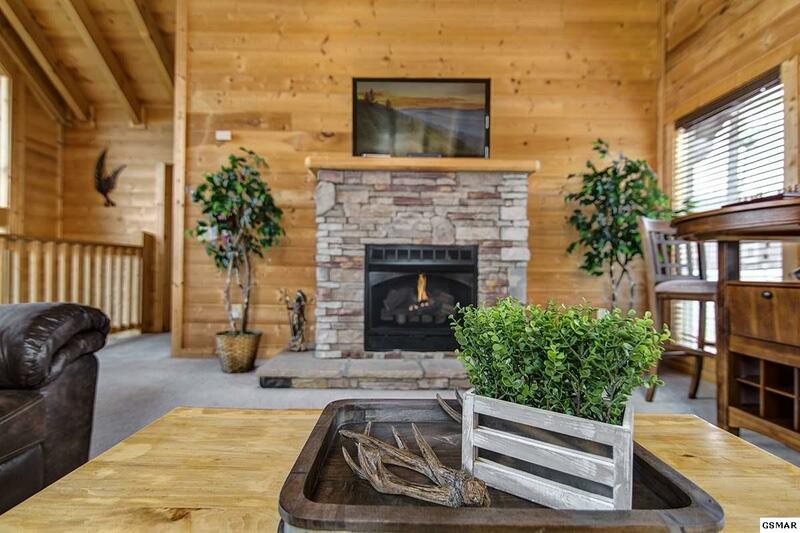 The office is at the entrance to the resort. 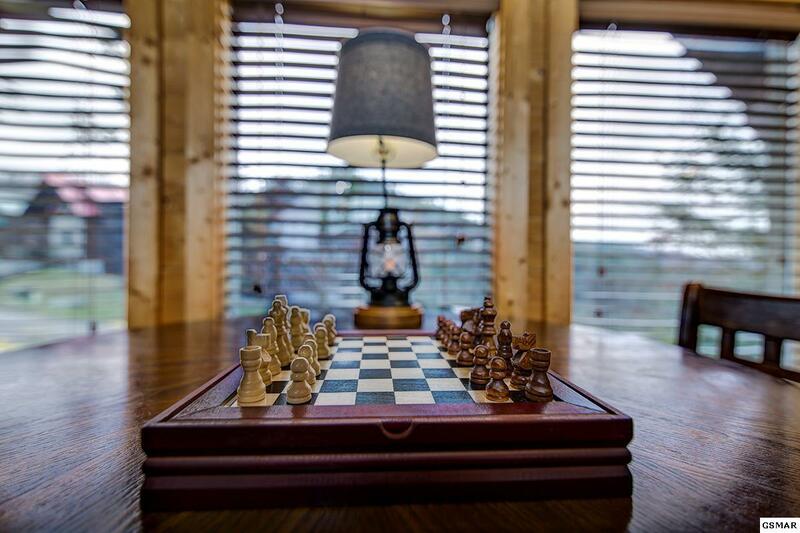 The management office will provide key code for entry. 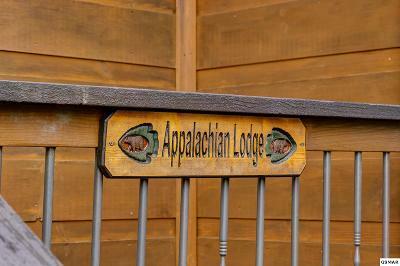 Welcome to Appalachian Lodge in the beautiful gated Parkside Resort here in Pigeon Forge. 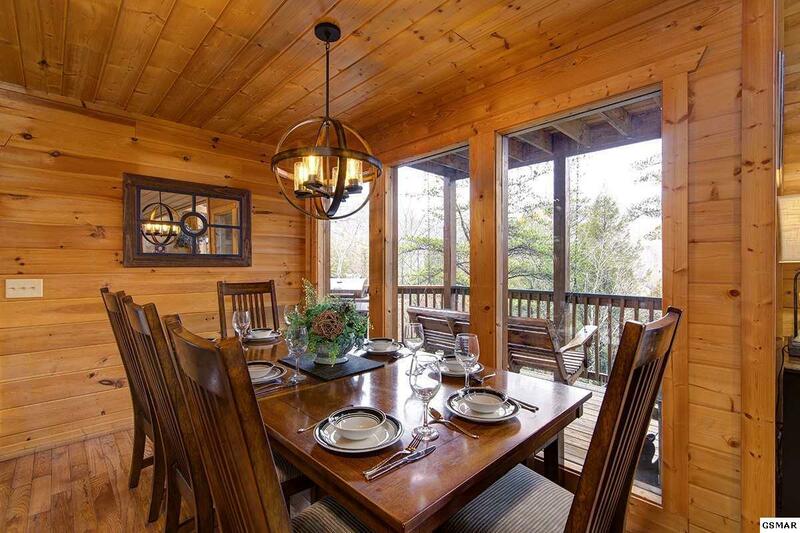 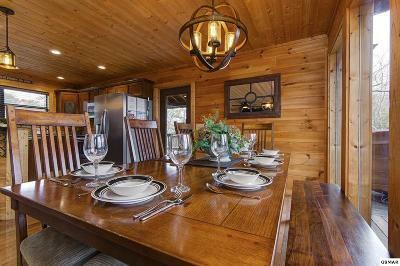 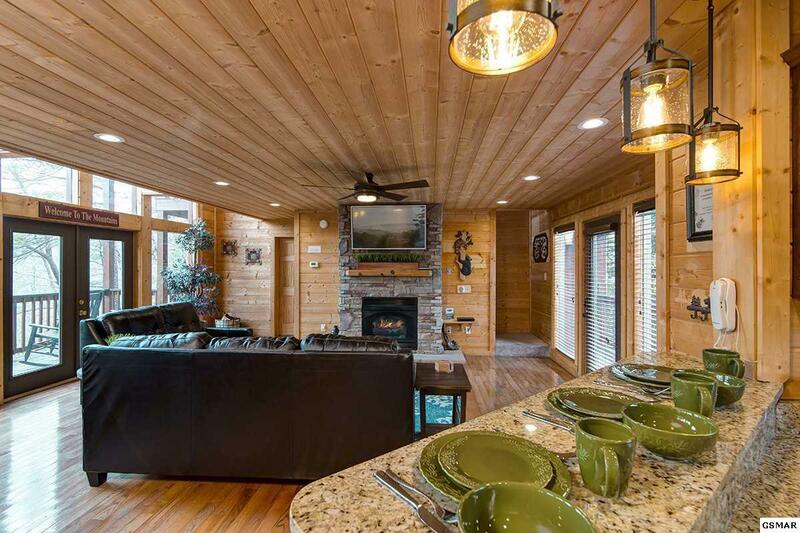 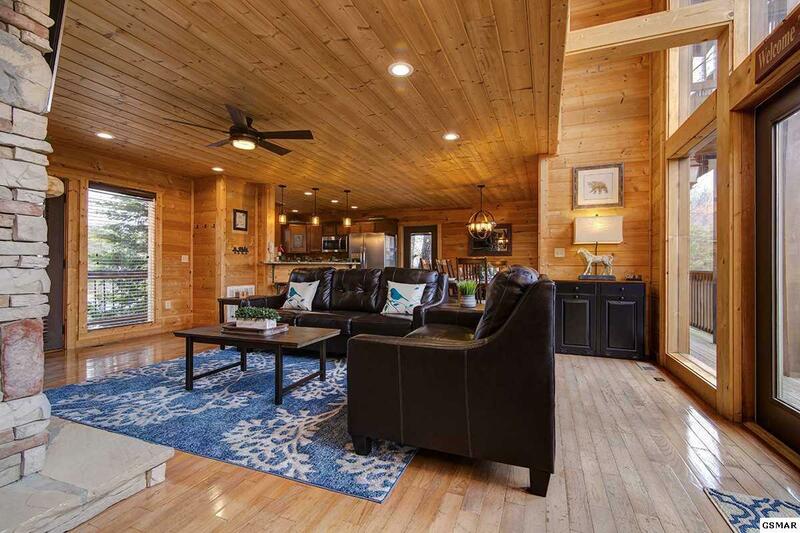 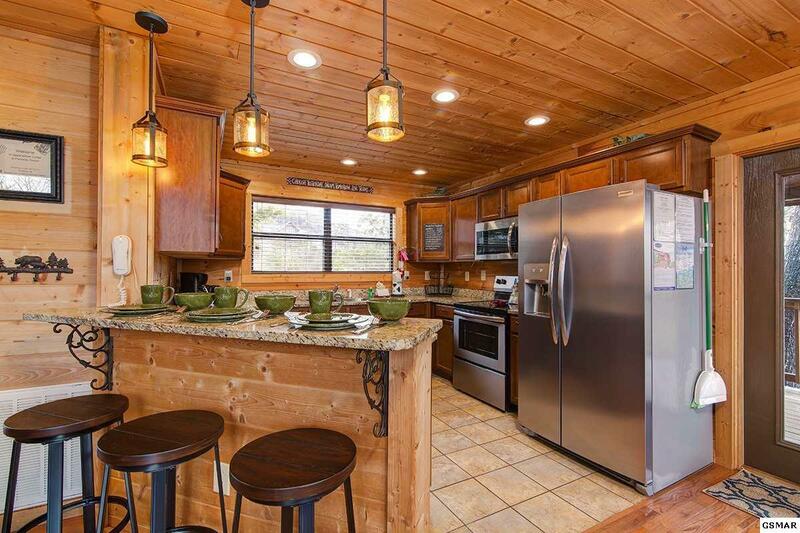 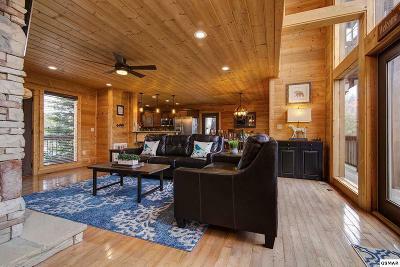 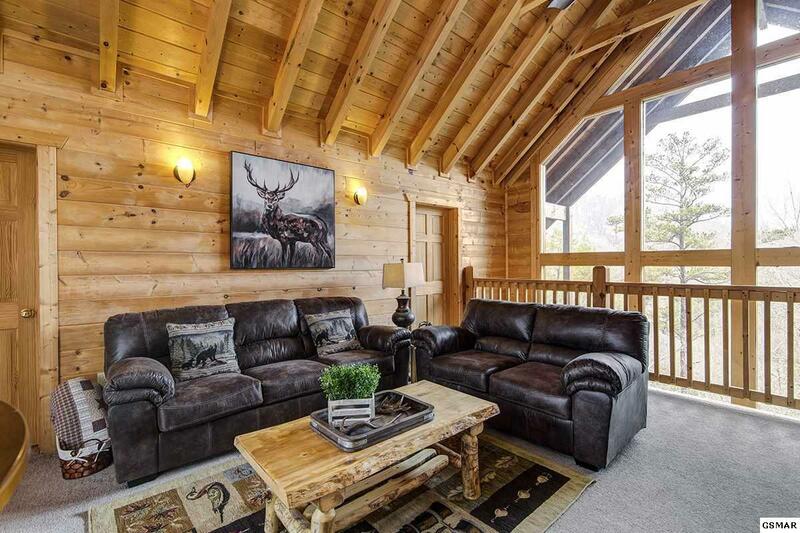 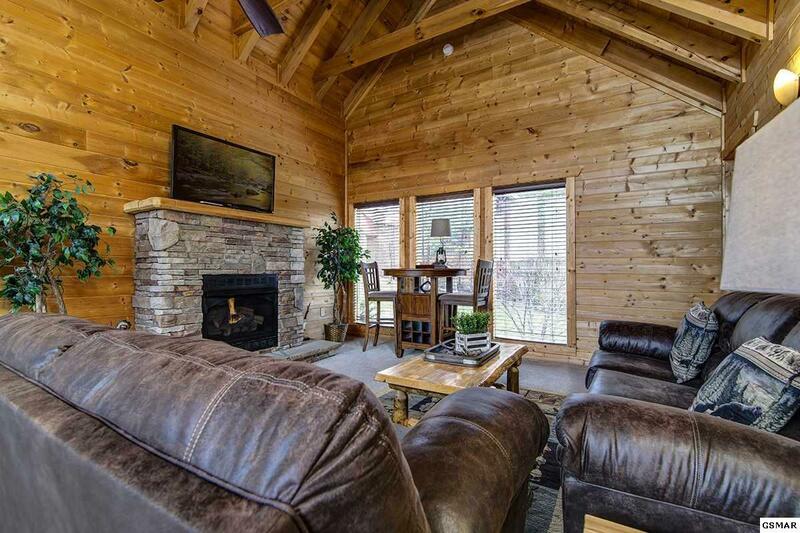 Upon entering this magnificent cabin the living room is the center of attention. 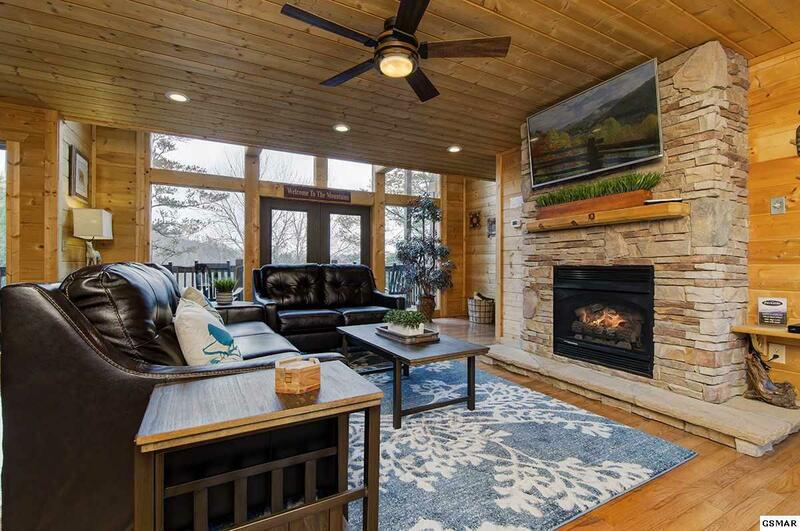 Floor to ceiling windows let in plenty of natural light! 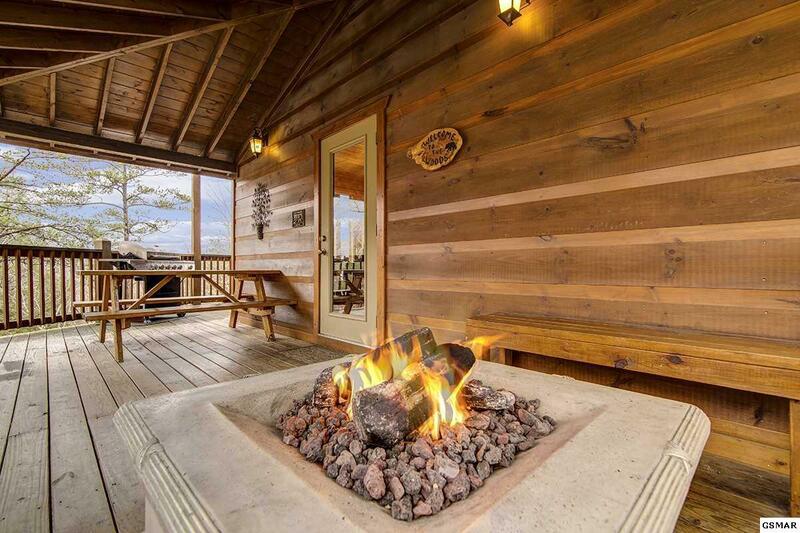 You will feel totally relaxed enjoying the fireplace. 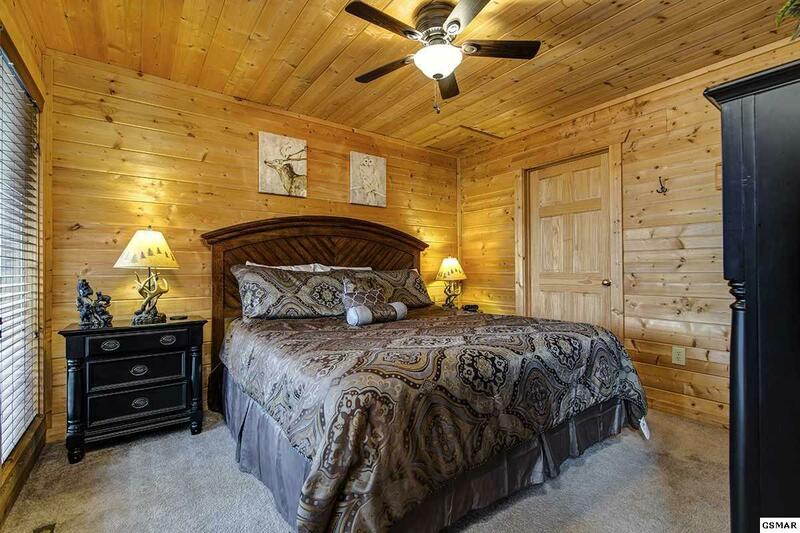 The main level is also where you will find the first of four bedrooms and bathrooms. 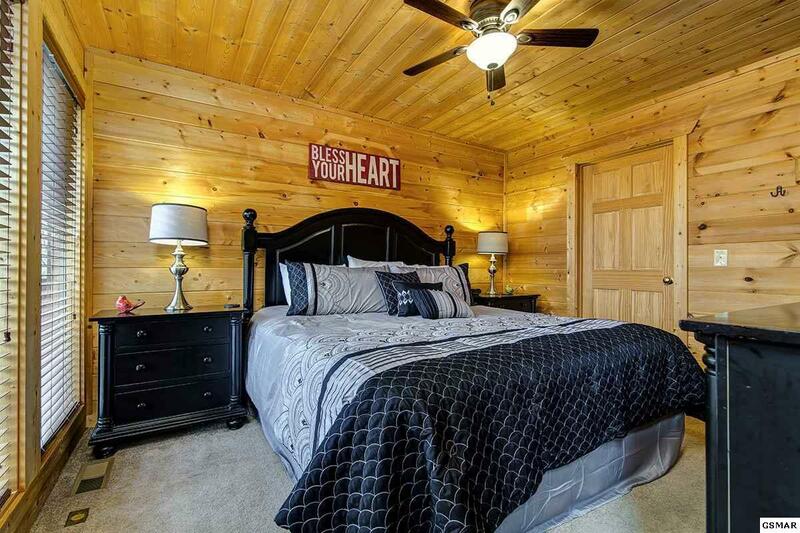 This master suite features a king size bed and a flat screen TV. 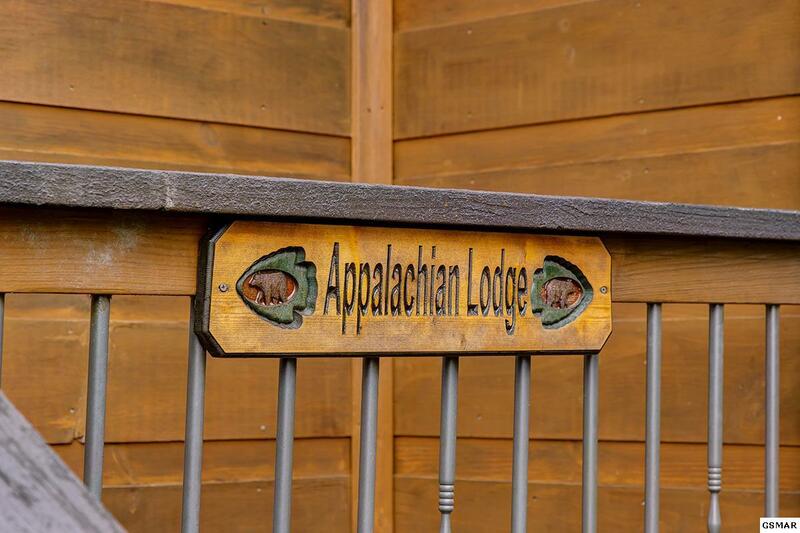 The main level deck of Appalachian Lodge is the perfect place to hang out and have a family meal on a pretty day! 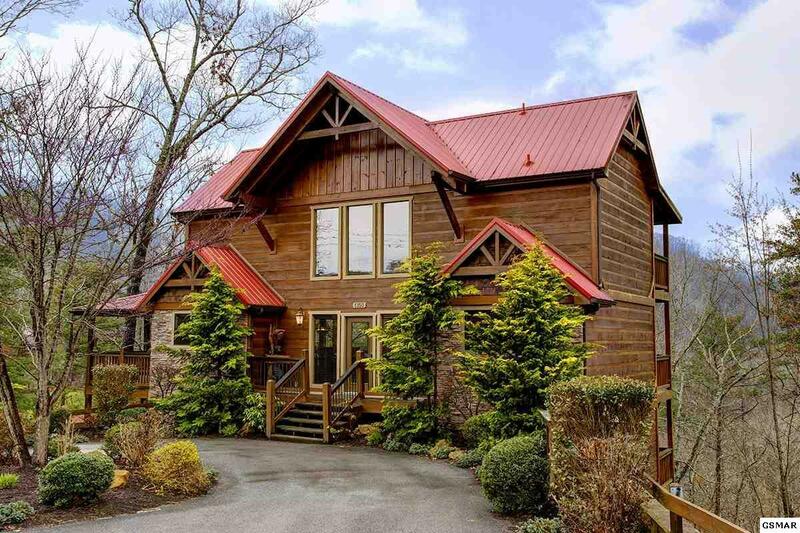 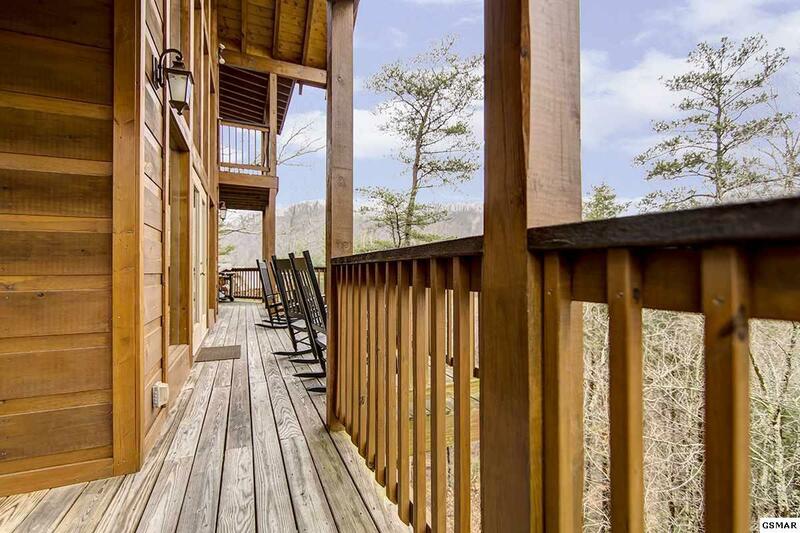 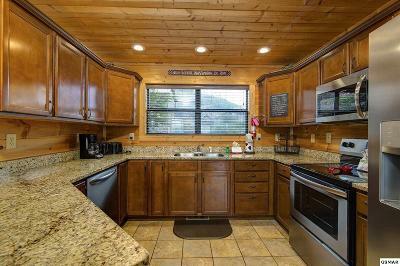 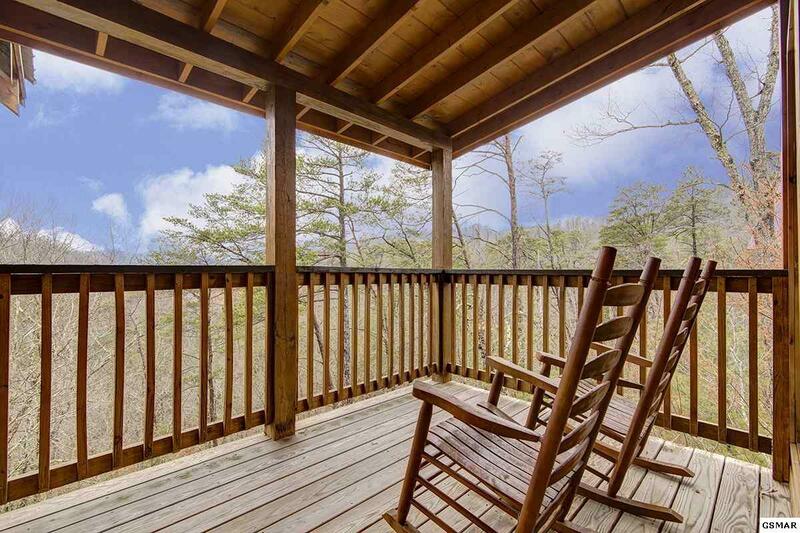 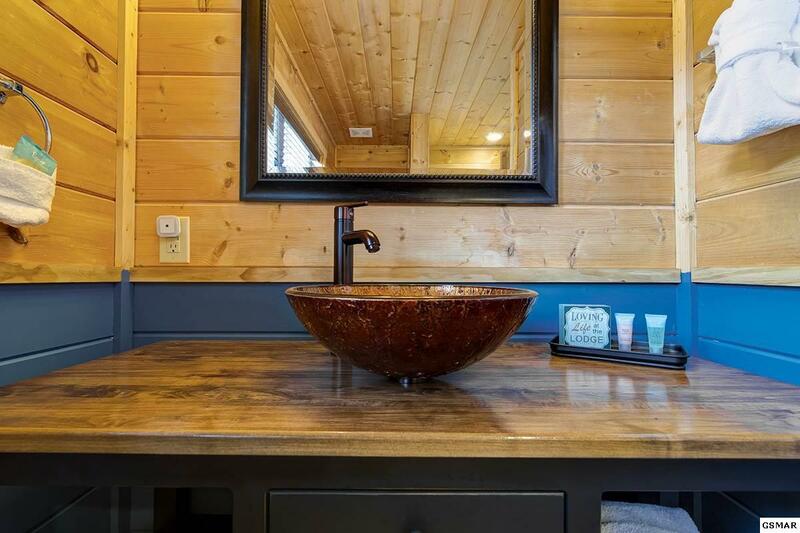 Here you will find spectacular views and the deck features a fire pit, gas grill, wooden porch swing, picnic table, and plenty of rocking chairs. The upper level opens to a gorgeous seating area with fireplace. 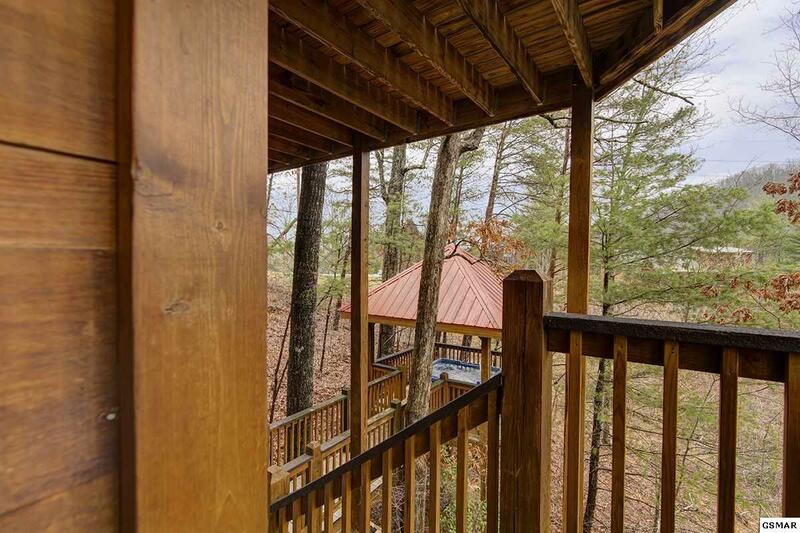 The windows from the lower level come all the way to the ceiling on the upper level -enjoy the view! There are two bedrooms on this level. 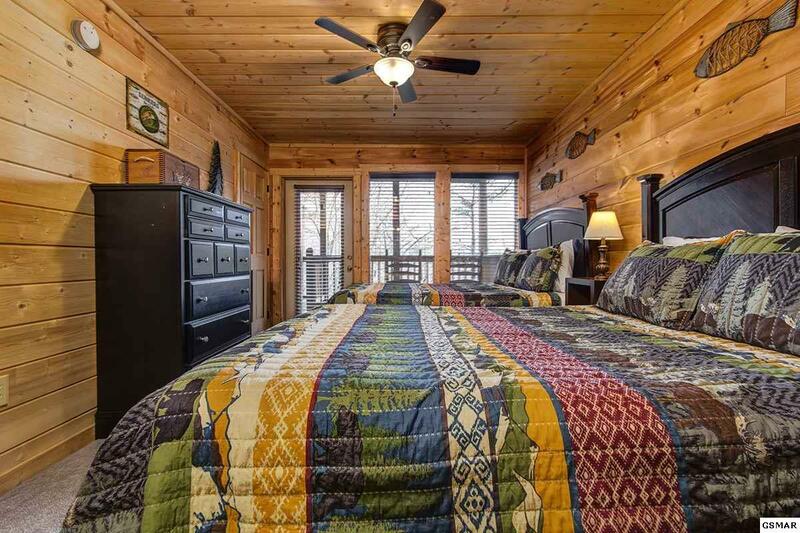 Each feature king size bed, flat screen TV, private deck with rocking chairs and private bathroom. 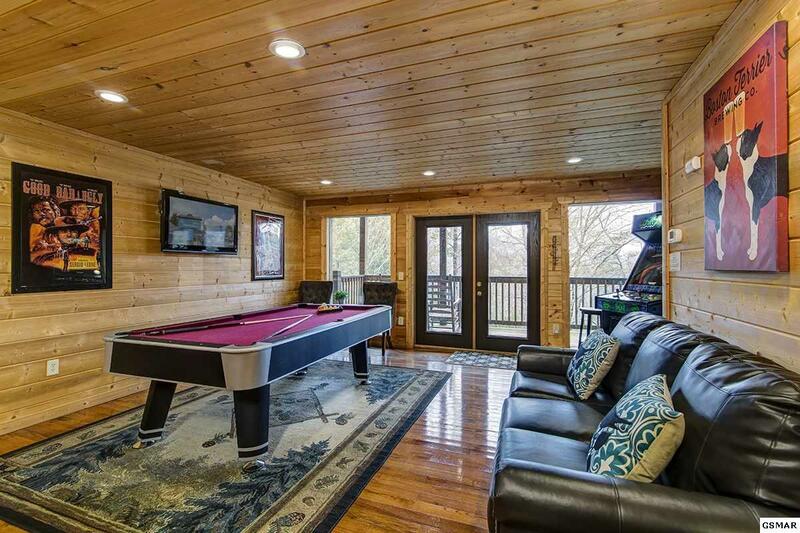 Head down stairs to the lower level and have some real fun in the game room. 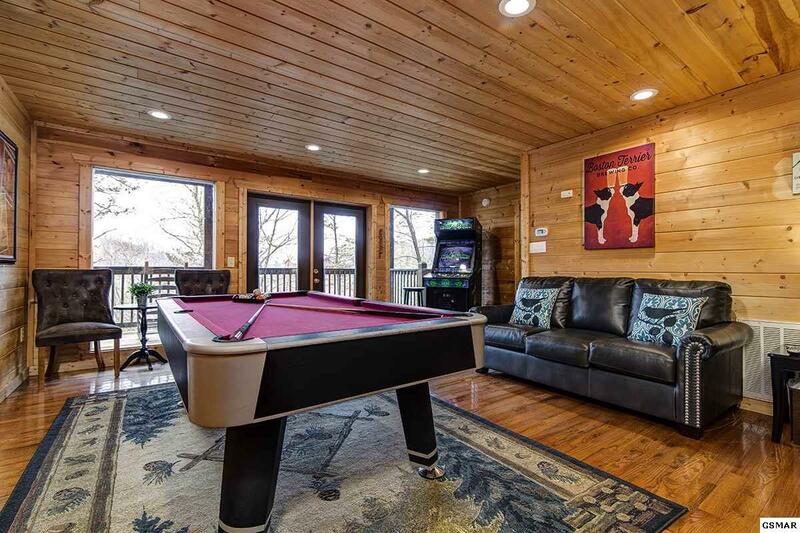 The game room features a pool table, arcade machine, flat screen TV, and a wet bar equipped with a mini fridge. 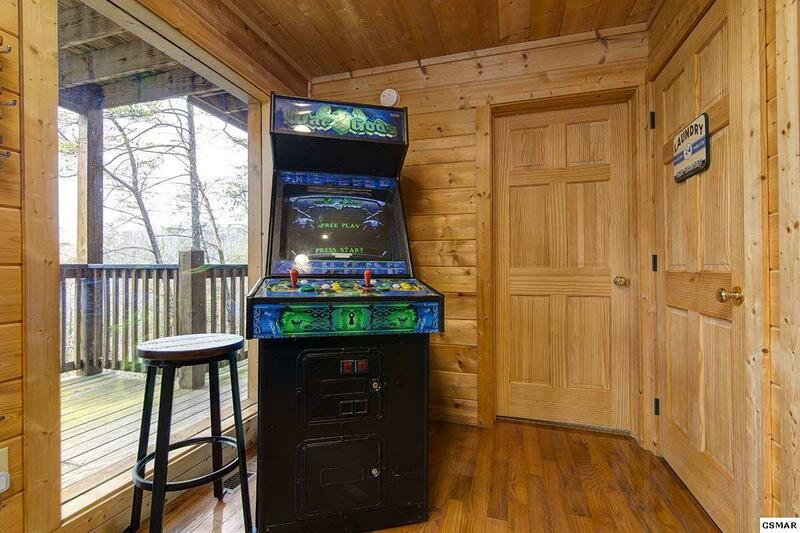 The washer and dryer can be found in a closet off of the game room. 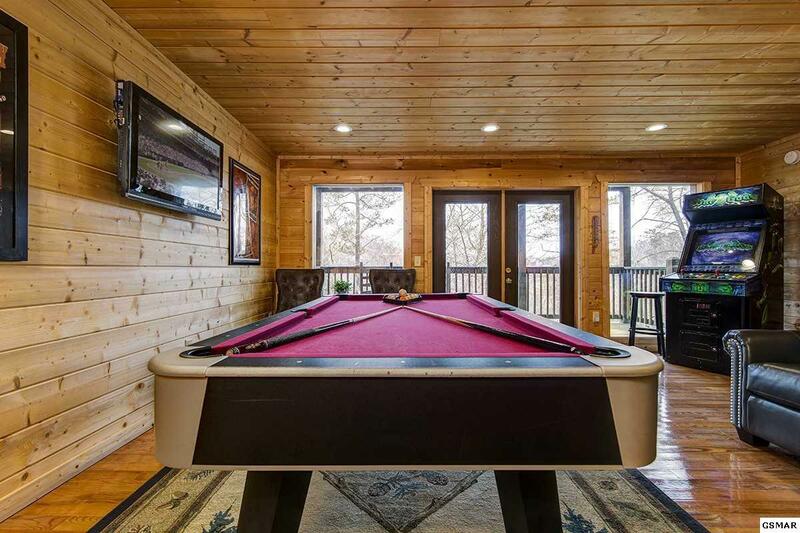 Not enough fun? 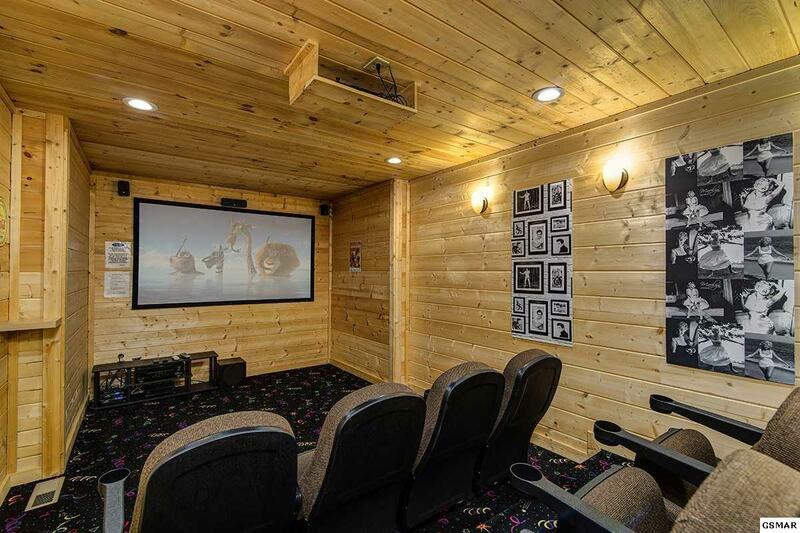 Then you haven't found the private home movie theater featuring stadium seating for 14, a Blu-Ray player, and surround sound. On this level is where you will find the last of four bedrooms and bathrooms. 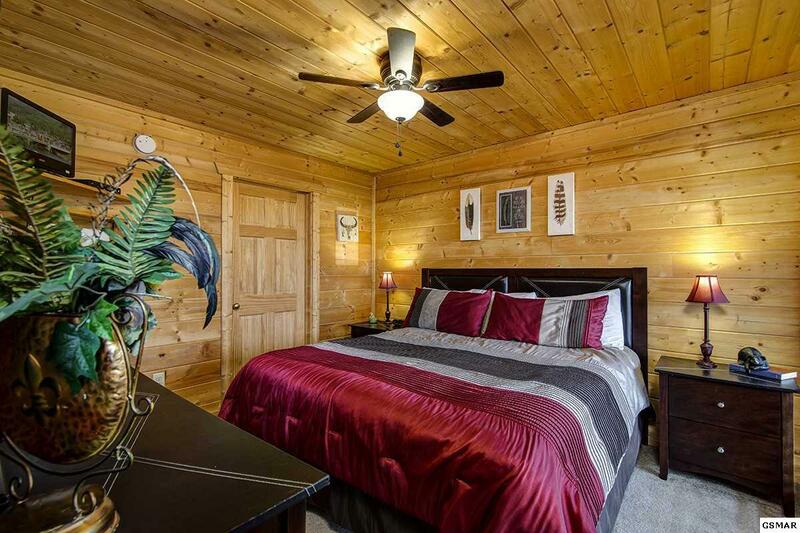 This suite features two queen size beds, flat screen TV and bathroom. 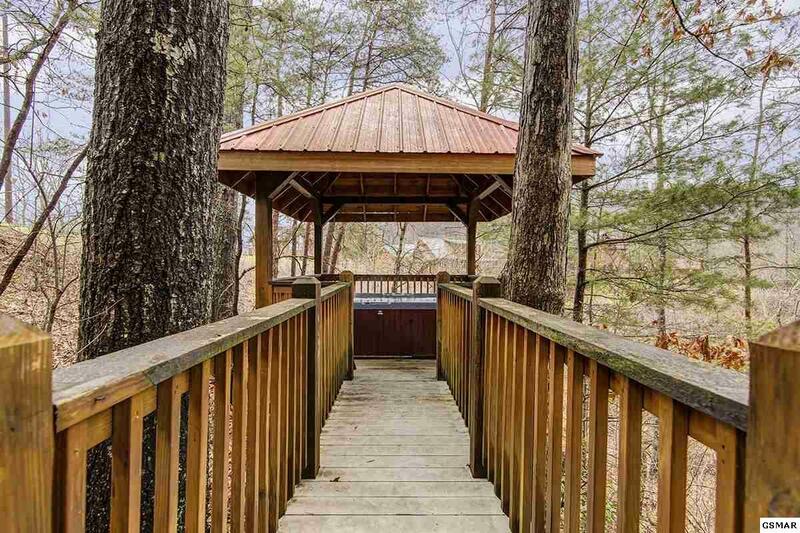 Last, but certainly not least, is the hot tub which can be accessed from the lower level deck. 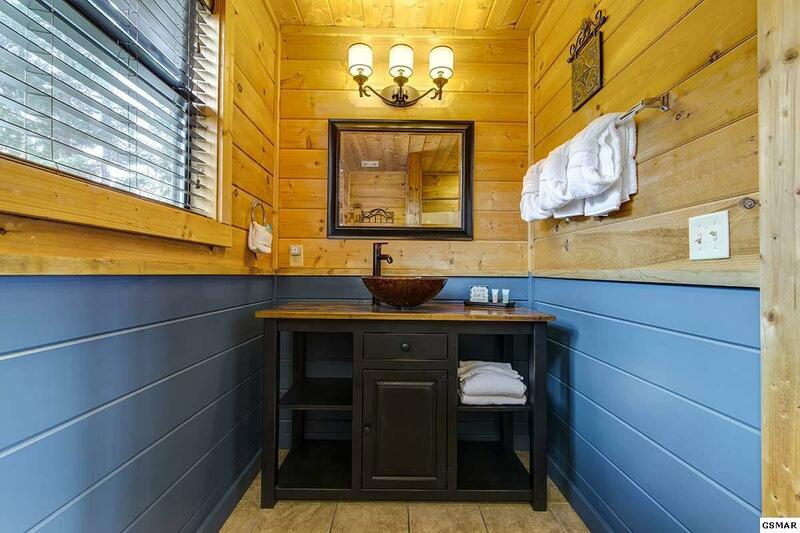 Head down some stairs to your own private oasis! 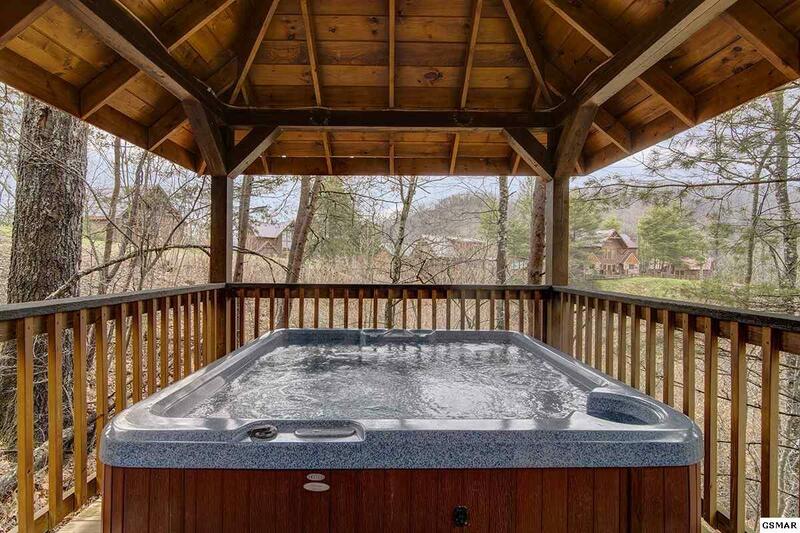 The hot tub is the perfect place to wind down after a day in the Great Smoky Mountains while you enjoy the mountain serenity!